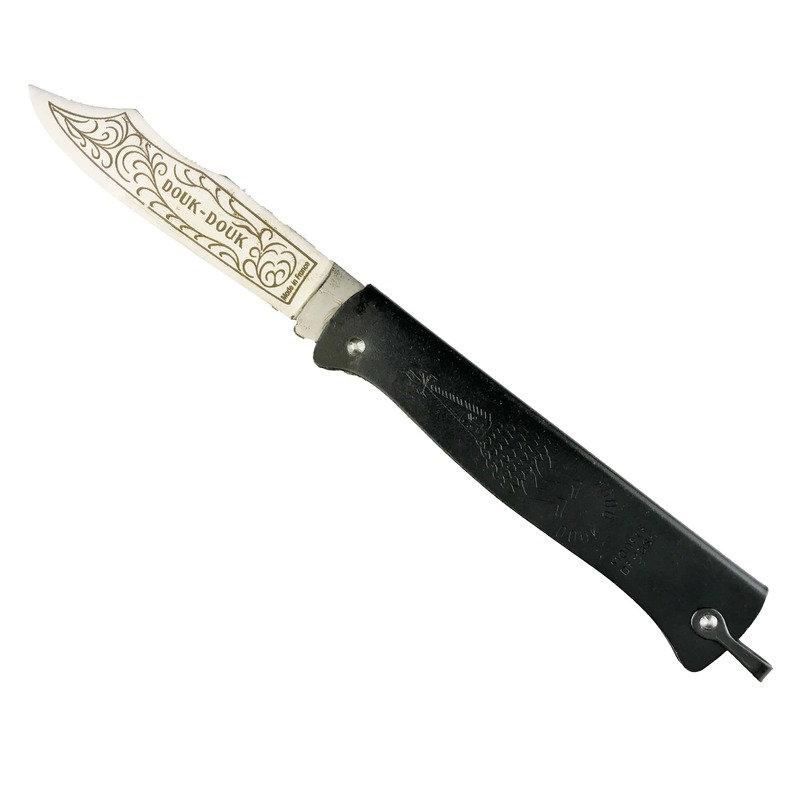 This Douk-Douk is made from carbon steel in France, its blade is a “Turkish Clip” contour, its handle is folded steel. 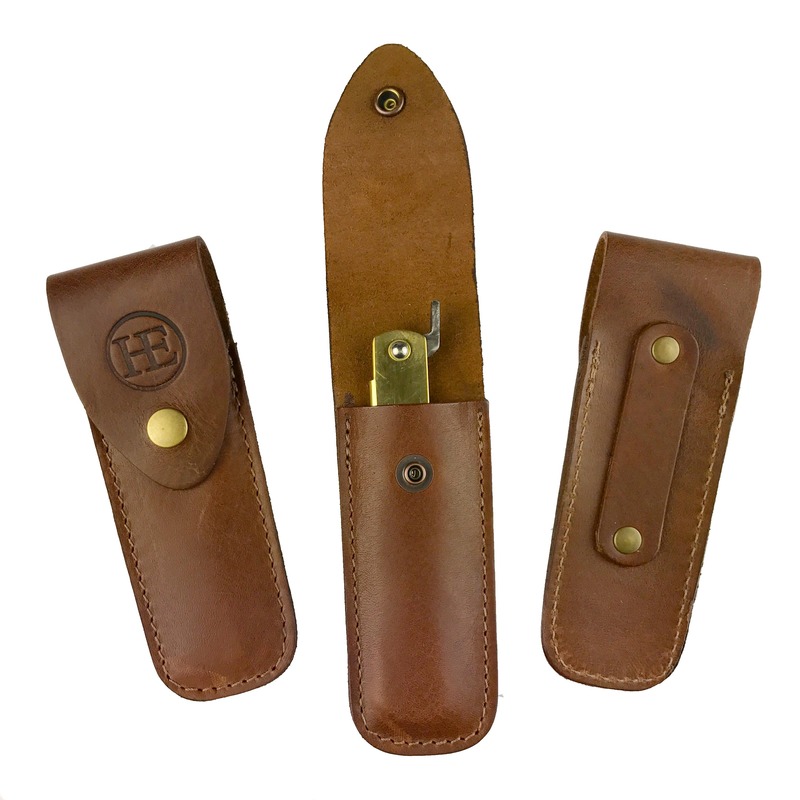 In the manner of a slipjoint knife it has no locking mechanism but has a smooth action, and a strong back spring to help keep it safely open. The Douk-Douk was originally designed to be sold in the French colonies, and in an attempt to appeal to the local populations its maker emblazoned the handles with curious etchings of native mythological characters (“douk-douks”). This knife bears “The Sorcier” (the sorcerer), a Melanesian spirit incarnation originally believed to bring good luck. The Douk-Douk has a long and fabled legacy, and is the preferred knife of the French Foreign Legion. With its slim proportions this knife will ride extremely well in any pocket.